The group's third album (their first in four years) puts them back on top in the clever tunesmith game. 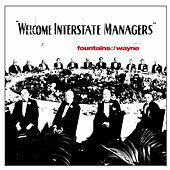 With their shamelessly perfect arrangements, Fountains of Wayne create instantly catchy pop songs that feel vaguely familiar, but have lyrics that no one else would write. Summery, post-modern pop fun. 2003 Virgin Records America, Inc.